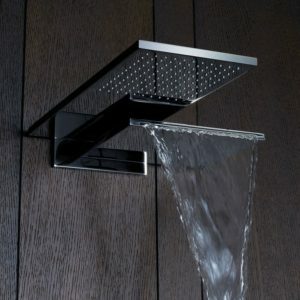 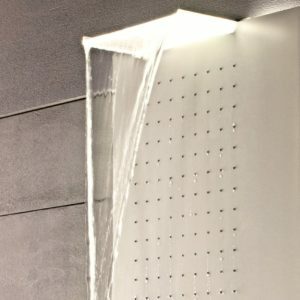 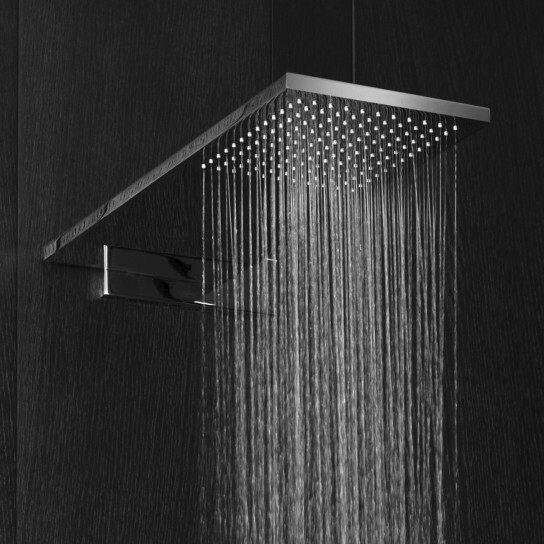 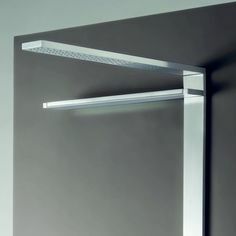 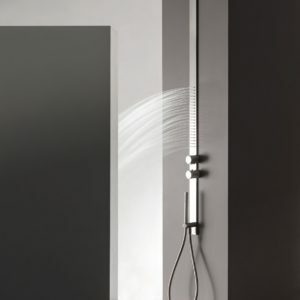 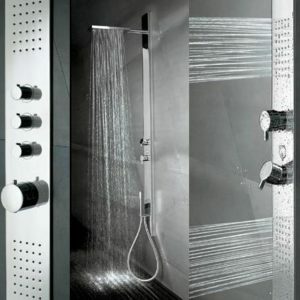 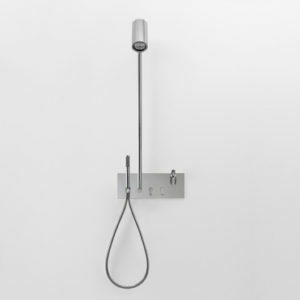 A kitchen tool, a colander, is borrowed to provide the inspiration for the showerhead. 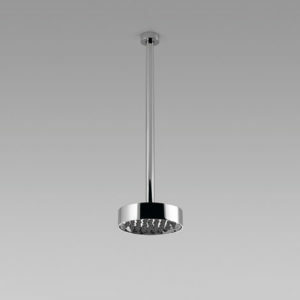 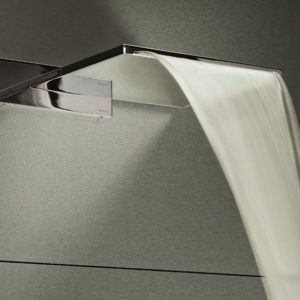 The "polypropylene water diffuser" is simply supported by a stainless steel cap. 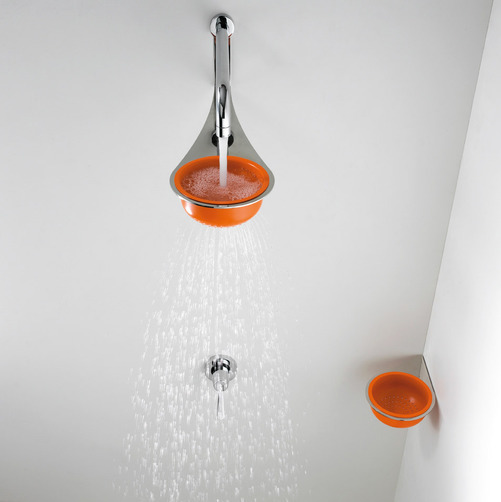 The same principle also inspires the design of the soap holder. 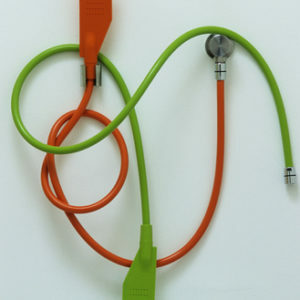 The polypropylene components are available in orange or green.